(1)Jianhua Jiang, Xi Li*, Zhonghua Deng, Lin Zhang, Jian Li; Modeling and Model-based Analysis of a Solid Oxide Fuel Cell Thermal-Electrical Management System with an Air Bypass Valve. Electrochimica Acta, 177(20):250-63, 2015. (2) Jianhua Jiang, Xi Li*, Zhonghua Deng, Jie Yang, Yisheng Zhang, Jian Li; Thermal management of an independent steam reformer for a solid oxide fuel cell with constrained generalized predictive control. International Journal of Hydrogen Energy, 37(17): 12317-31, 2012. (3) Jianhua Jiang, Xi Li*, Zhonghua Deng, Jie Yang, Yisheng Zhang, Jian Li; Control-oriented dynamic optimization of steam reformer with an improved optimization algorithm. International Journal of Hydrogen Energy, 38(26): 11288-302, 2013. (4) Lin Zhang, Xi Li, Jianhua Jiang*, et al. ; Dynamic modeling and analysis of a 5-kW solid oxide fuel cell system from the perspectives of cooperative control of thermal safety and high efficiency. International Journal of Hydrogen Energy, 40: 456-476, 2015. (5) Huan Cheng，Xi Li, Jianhua Jiang*, et al. ; A nonlinear sliding mode observer for the estimation of temperature distribution in a planar solid oxide fuel cell. International Journal of Hydrogen Energy, 40: 593-606, 2015. (6) Jianhua Jiang, Dong Yan, Xi Li, Jian Li; Performance evaluation of a 1kW class independent SOFC system with external manifold stack. International Conference on Electrochemical Energy Science and Technology (EEST2014) Shanghai, China, Oct. 31- Nov. 4, 2014. 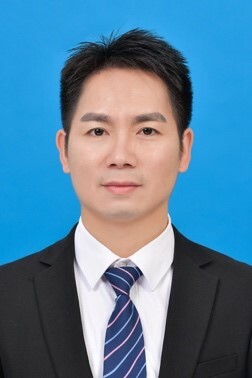 (7) Jianhua Jiang，Xi Li; Modeling and Model-based Analysis of a Solid Oxide Fuel Cell Thermal-Electrical Management System with an Air Bypass Valve. 15th Hydrogen energy conference, 13~16 Nov., 2014. (8) Jianhua Jiang, Xi Li; Steady-state analysis of 5kW SOFC system with novel configuration. Electrochemical Society Transactions, 57(1): 437-442, 2013. (9) Lin Zhang, Jianhua Jiang, Huan Cheng, Zhonghua Deng, Xi Li*， Control strategy for power management, efficiency-optimization and operating-safety of a 5-kW solid oxide fuel cell system. Electrochimica Acta, 177(20):237-49, 2015. (10) Yang Jie, Li Xi*, Jiang JianHua, Li Jian, et al. Parameter optimization for tubular solid oxide fuel cell stack based on the dynamic model and an improved genetic algorithm. International Journal of Hydrogen Energy, 36(10): 6160-74, 2011. (11) Hongliang Cao, Xi Li*, Zhonghua Deng*, Jianhua Jiang, Jie Yang, Jian Li, Yi Qi; Generalized predictive control for fractional order dynamic model of solid oxide fuel cell output power. Journal of Power Sources, 195(24): 8097-103, 2010.